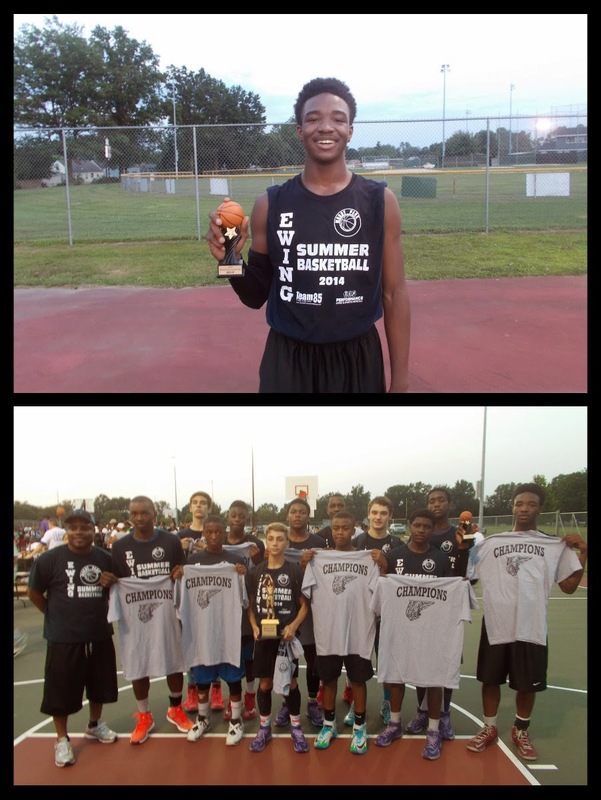 BASKETBALL SPOTLIGHT NEWS: Moody Park MS Summer League Championship Game Recap: PBA #167 Holds On For Victory! Moody Park MS Summer League Championship Game Recap: PBA #167 Holds On For Victory! Moody Park MS Summer League wrapped up last night and Basketball Spotlight was in the building. First we watched the All Star game then we took a look at the championship matchup as PBA #167 defeated Blessed 41-39. Here’s are the players that impressed us in the finals. MVP- Ricky Bailey Forward (PBA #167)- Bailey was like Bo Outlaw, grabbing rebounds and getting put backs. He runs the floor well for a big forward and understands that he does his best under the basket. In the closing minutes of the game he stepped to the free throw line and knocked it down. This helped his team get the crown and give him MVP honors. Donovan Ryland Guard (PBA #167)- This point guard really impressed me with his play making ability and the way he took care of the rock. He has a low dribble and a strong frame that makes it difficult to strip him. Ryland picked his game up when things got tight by also scoring the pill. Next fall some high school coach is getting a nice addition to his program with Ryland. J’Ayir Brown Guard (PBA #167)- While many players love the offensive end Brown locks down on defense. He moves his feet very well and uses his strength to control the ball handler. On offense he has some scoring pop especially when driving hard to the right side of the lane. His play and contributions were also worthy MVP honors. Reggie James Forward (Blessed)- James is one of the top rising 9th Graders in the Mercer County area. He’s blessed with good speed, size and an improving handle. James can score attacking, on put backs and excels in transition. He heated up in the scoring column and made some other good plays to help his team get back into the contest. Roderick Massenat Forward (Blesssed)- Massenat arrived at right before halftime and immediately made his presence felt. He plays with a good burst of energy while combining some good off the dribble moves. He has a nice floater and shows some range even though he has a low release right now. He’s very active around the floor and seems to have a chance to be a good prospect down the road. Justin Galea Guard (Blessed)- Galea is reclassifying into the Class of 2019 which should be a good move. The point guard made good decisions while running the point. He picked his spots to attack while using the pick and roll. I like how he distributes the rock and also scores the rock when it's necessary.